Memory card adapter. 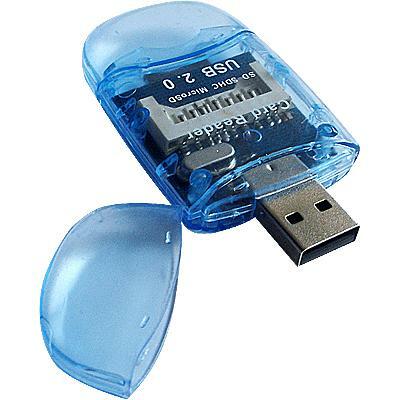 The 5 in 1 Memory card adapter is a convenient Flash Memory Reader solutions for computers. USB 2.0 Compatible transfer rate up to 480 Mbps. This memory card 5 in 1 Adapter is designed to read and write five popular Flash media, including SD, SDHC, miniSD microSD, MMC RS-MMC and micro-MMC ,and TF card formats.